Florist Wilmington NC | Bloomers Flowers Blog - Wilmington NC | BloomersBlog: Is A Colorful Wedding for you? Is A Colorful Wedding for you? 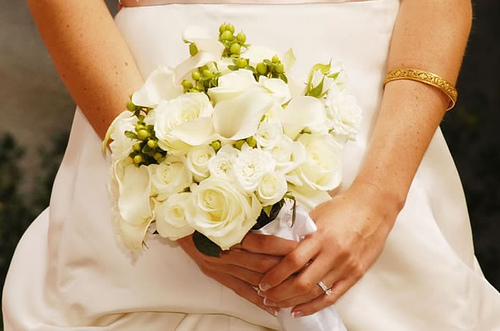 There's something to be said for the classic all-white wedding. Chic, elegant, easy to coordinate. 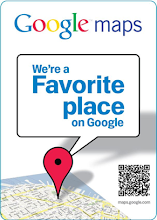 But maybe that's not "you"! Maybe you're a hot-colors-all-the-way kind of bride. Great! You'll have lots of options. You can start with Tangerine, the announced Color of the Year, a beautiful orange that isn't a Halloween kind of orange. Mixes well with hot pink, even lime green. Or, keep you palette monocromatic by using different tints and tones of orange, by going into the peaches with it. Then there's purple. From the deepest Royal Robes purple to a soft lavender, this is a color that lends itself well to any style of wedding. Purple Hydrangea is elegant and showy. And before you poo-poo carnations, be sure to check out the deep purple carnation called "Moonvista", and its' sisters "Moonshade", "Moonlite" and "Moonaqua". Imagine domes of these on your tables-stunning! There's even a lovely lavender rose called "Cool Water" that's perfect for bringing in that pastel shade. 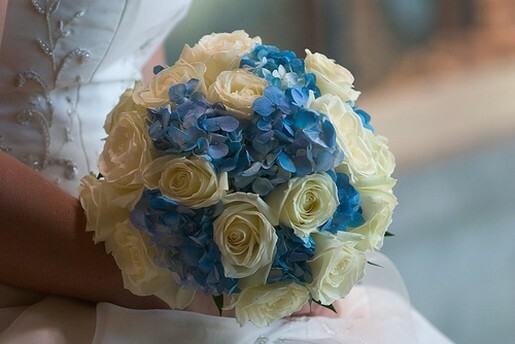 Of course, blue is always a classic and can be mixed with so much. 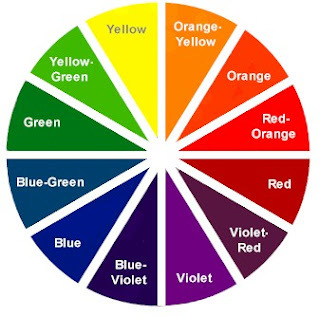 but don't forget that on the colorwheel, blue likes yellow and red, and even orange! Speaking of yellow, of course it melts into orange, but can also go yellow-green, especially in greenery like variegated Flax. Large and dramatic, it can fill space easily. Don't forget that you can add color with things other than flowers, too! 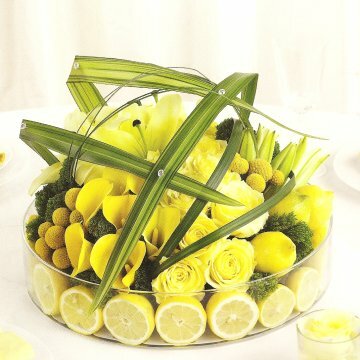 The lemons in this unique centerpiece will scent the whole table! Need help with your wedding color scheme? 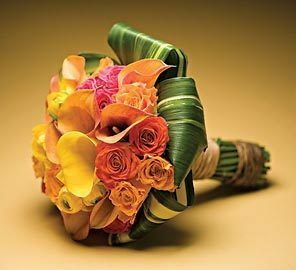 At Bloomers Floral Design, we're here to help!